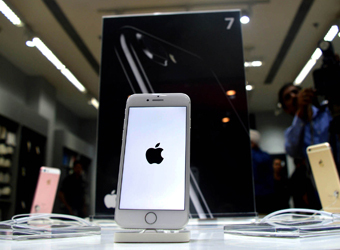 Samsung's Note 7 fiasco gave Apple a chance to revive its falling fortunes in India but the technology giant is struggling to meet the demand for its latest iPhone 7 devices despite having brought in a record number of units in the run up to Diwali in October. A report in The Economic Times, quoting market retailers said that, Apple shipped over 200,000 units of the iPhone 7 in October and 56,000 units of the iPhone 7 Plus in India last month, both numbers far less than the demand and inquiries being generated across the country. "There are definitely supply issues and I don't see it easing up till January because November-December is holiday season in the US and Europe, so whatever shipment are generated would be directed to these markets," said another chief executive of a Delhi-based national mobile retail chain to ET. With Apple's latest offering getting a good response, Apple iPhone 7 and 7 Plus are directly competing with Google's newly-launched Pixel smartphone, its first bet into the hardware business. But with Apple failing to meet supply demands in India and Pixel already available in stores, this looks like a tight game. Even online e-commerce websites such as Flipkart and Amazon marked the new Apple devices as 'out of stock' across all versions and colour variants. The supply issue could not have come at a worse time for Apple as it could have increased its market share over Samsung that is struggling to get past the Note 7 debacle. Apple shipped 8,00,000 smartphones in India in the second quarter of 2016, down by a third from 1.2 million in the same period last year. Its market share in the country fell to 2.4% from 4.5% during the period, according to US-based research firm Strategy Analytics. The company, which considers India among the most important emerging markets, brought in 10% higher number of units in 2016 than October 2015, according to data from Cybex Exim. Samsung was a leader in the premium smartphone category in India in 2015-16. According to the data compiled by CounterPoint Technology, Samsung's market share in the premium smartphone category in India was 47% while Apple stood at 45% in 2015-2016.